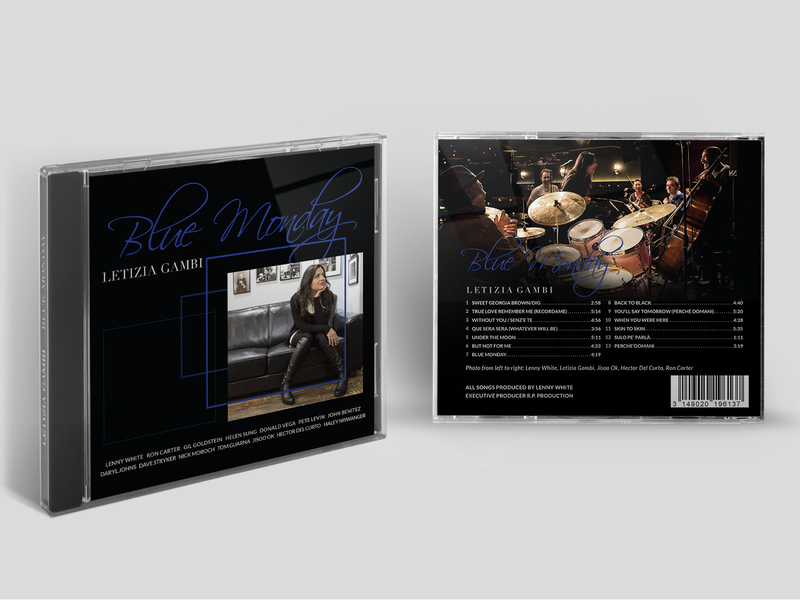 CD Album design for singer-songwriter Letizia Gambi utilizing spot color blue as a reference to her title track “Blue Monday”. 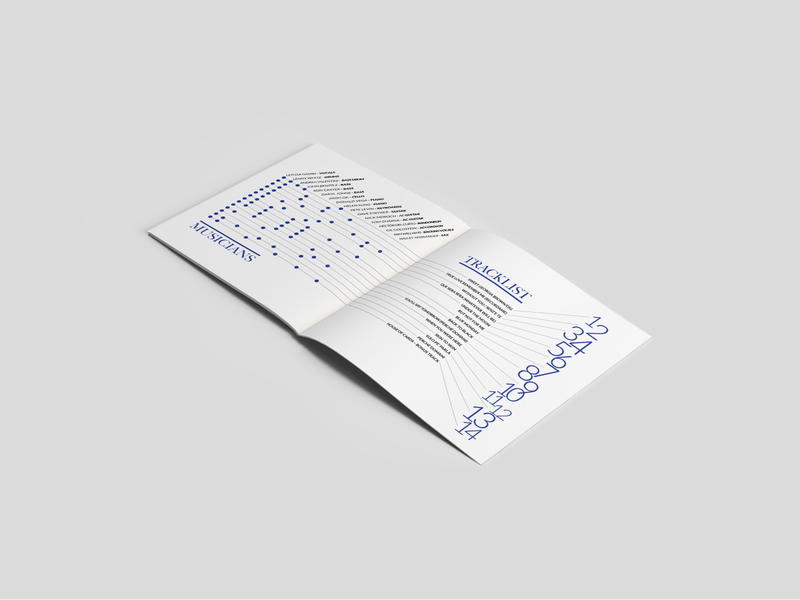 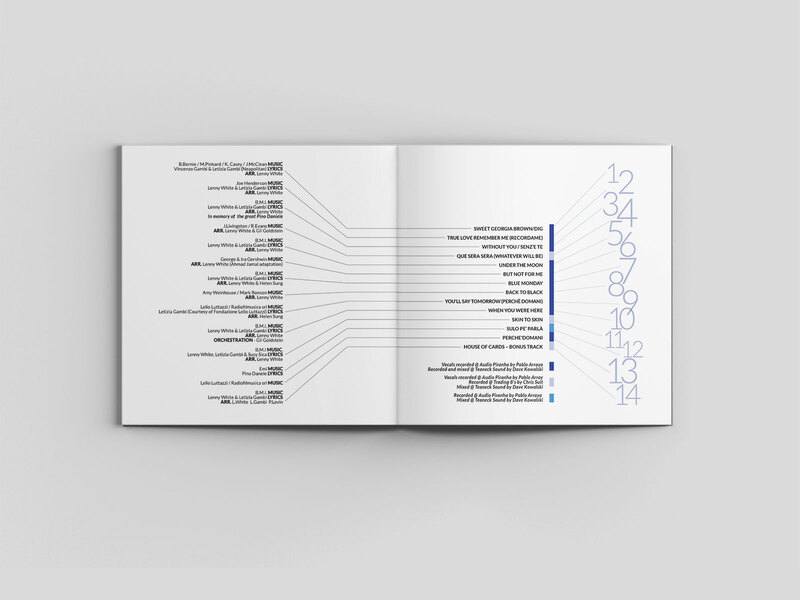 Contemporary approach to display musicians’ names and arrangements through infograph design. 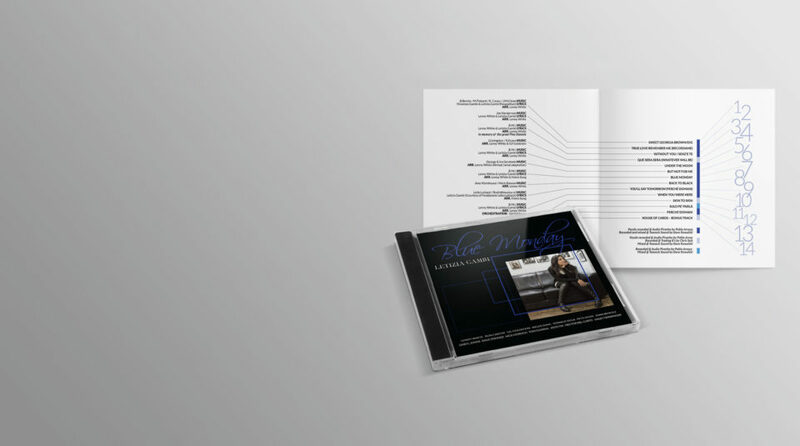 Overall achieved a clean, sophisticated layout representative of the new up and coming smooth and charming vocals of Letizia Gambi.